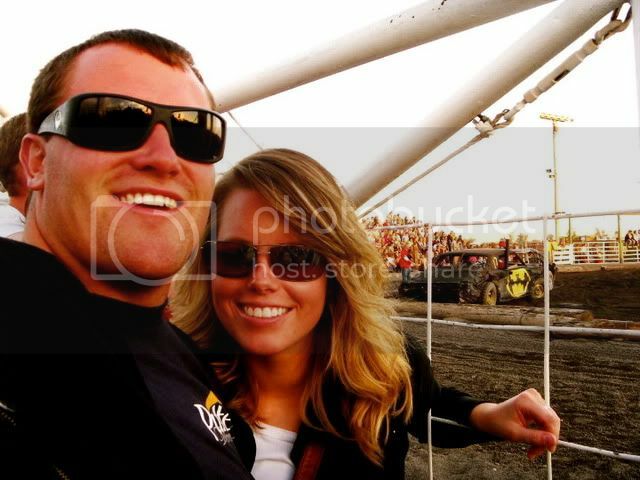 The night before Layne left we went to the St. Anthony Demolition Derby, with Kirk and their sister Jill. This is a night to feel very redneck. Car smashing, people cheering, unlucky ones being towed, and you can't forget the array of mullets, and overalls. Definitely redneck. This was not my first experience of Eastern Idaho's choice of amusement. 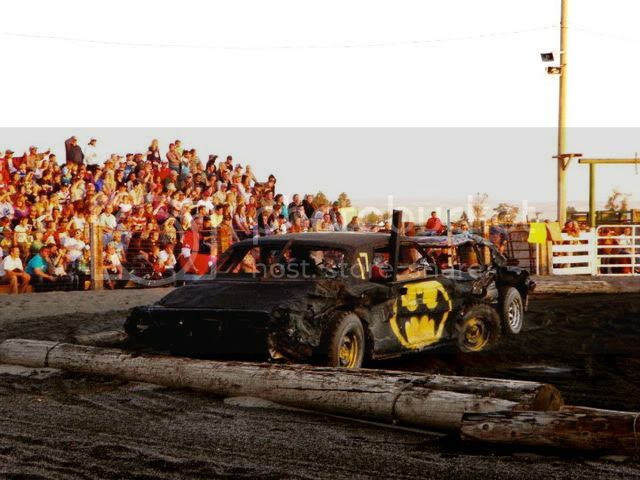 Last September I was able to attend this redneck fun. We ended up not staying for the whole show, missing out on the trucks and the finale. It was ok though because the show was not as good as last years, but it was the first time the three of them had ever been to one of these. It was fun sharing this experience with them. The smell of burnt rubber with forever be branded in my mind.